Explanation: What caused this sudden cloud of dust on Mars? An avalanche! The first avalanche imaged in progress on another planet was recorded last month on Mars by NASA's robotic Mars Reconnaissance Orbiter. 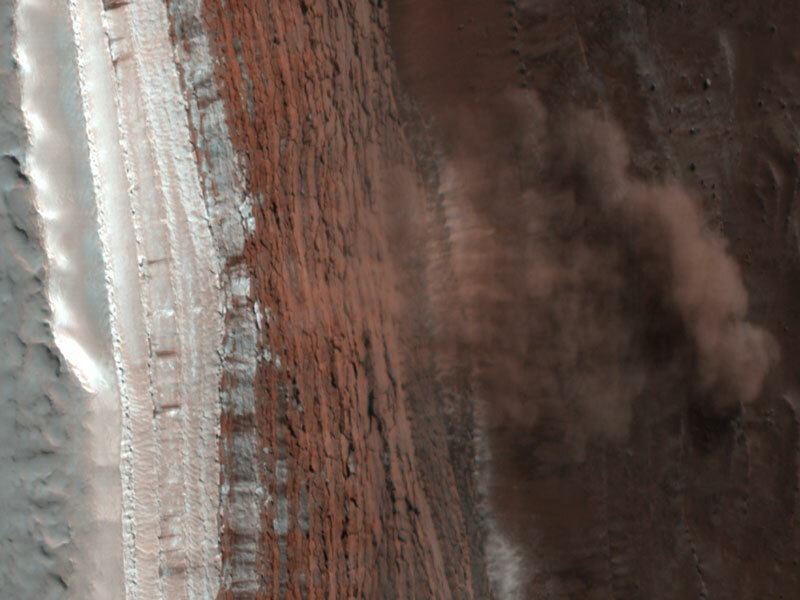 Visible in the above picture, digitally rescaled, are several layers of white ice thawing over red rock, with darker colors toward the right indicated Martian soil that mixed with lesser amounts of ice. As the cliff of over 700 meters high was thawing, falling ice crashed down raising plumes of ice and dust so thick they cast visible shadows. The scarp has slopes with grades greater than 60 degrees. The entire scene is illuminated from the upper right by the Sun. A thaw occurs each spring in the Northern Hemisphere of Mars, as the warming climate causes solid carbon dioxide ice to sublimate directly to vapor. 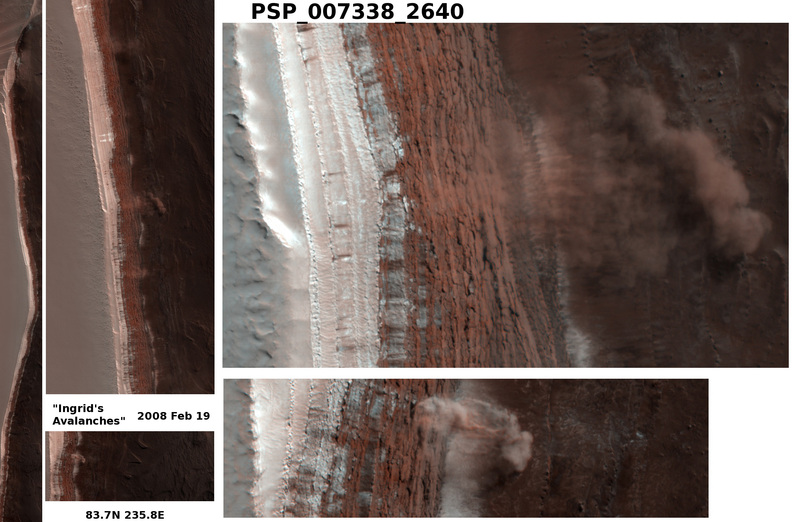 Studying such avalanches allows planetary geologists to better understand soil configurations on Mars.